THE FRENCH GENERAL GIVEAWAY IS NOW CLOSED. Creative Inspiration Week continues! Welcome! Scroll down to previous posts to see all the creative goodness so far! I am so honored to introduce to you Kaari Meng of French General. She is a phenomenal woman in many regards. She owns her own shop, has written wonderful books, has her own product lines, has been featured in major publications and is truly an all around inspiration. I cannot do her justice by copying her bio here, you really need to go to her website and just watch her in action. You’ll be impressed, trust me. But the most impressive thing of all wasn’t all she has overcome or accomplished, or all the incredible magazines that have featured her, but it is the graciousness by which she agreed to share with us something she created to inspire us. I found that to be true of the women I am working with this week. Truly giving women. I am always impressed by women who will freely share their ideas and do it with humility. Kaari is a class act. Please enjoy her words and photos, and then leave a comment here to first and foremost thank her for her contribution here. 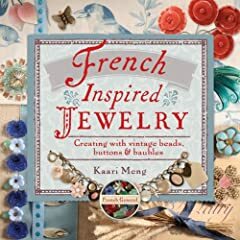 Secondly by leaving your appreciation here between now and Saturday December 8th, you will be entered into a drawing for her newest book, French Inspired Jewelry, courtesy of Kaari herself. Winner will be drawn at random. Enjoy the inspiration! The following words are written by Kaari for you! If I could stock every shade of pink at French General, I would. Pink has been a favorite color of mine since I was as young as I can remember. Soft pink textiles are my favorite of all — but old pink beads are a close second. Our Winter Pink collection of jewelry kits includes the softest of peachy pinks and the veined coral pinks — mixed with pearly whites, ruby reds and prairie greens. Unusual color combinations — but lovely winter garden colors. Finding a creative way to choose your color palette can be a challenge. Keep your eyes open for the strangest of clues. I found a shop full of old French wired chenille balls — every color imaginable — and then more! I knew it was an amazing find when I saw the 40 shades of pink. I have used the chenille balls to help me plot out my color palettes — finding the perfect bead color is sometimes a bit more challenging. Our Botanical Coral collection is more grounded. Turquoise egg blues with leafy greens and deep salmon oranges — this collection is based on poppy neutrals. When I settle on a color combination like this I always wonder what kind of adventurous soul wears this combination. I imagine someone living in a place where the sun always shines. These bright neutrals only look better against the natural neutrals — like, the honey-ox metals or antiqued silvers. I’m always drawn to the red — I can’t seem to escape it. For me — it is the strongest color, the hardest color to capture just right. Every season I try to pick up every great color of red for at least one of our collections — either textile or jewelry. Our textile collection usually consists of old reds and cranberries layered with neutrals named oyster, mushroom or sand. Our jewelry collection can be brighter, more colorful with cherry red mixing seamlessly with hamilton gold metals. Take time to learn about color — how shades of color work together and how light affects color. Spend time in a paint store looking at color chips — then start laying out your own unique combination. Look for color inspiration everyday in the ordinary. Special thanks to Kaari for her contribution to this week! You’re the best! All of Kaari Meng’s photos and text are copyrighted by Kaari Meng. Please contact French General for permission rights via the link provided. All photos and text were used by permission. Oh thank you Kaari for sharing your pics and words about color! I only recently found about French General and have been drooling at the website. I am so looking forward to shopping at the store when I go to LA for Christmas. A thousand thank yous, Kaari. You are a master at color. If I am lucky enough to win your book, I will proudly give it as a gift. I already own one and am making a list of ‘ingredients’ I need to make some of the jewelry you have designed. The post today is just lovely…I love, love French General, and am also a “red girl”. I have a touch of it in just about every room. Thank you again for your sweet comment on my blog during my mother’s illness. I am so very lucky to have such wonderful friends! Oh my! 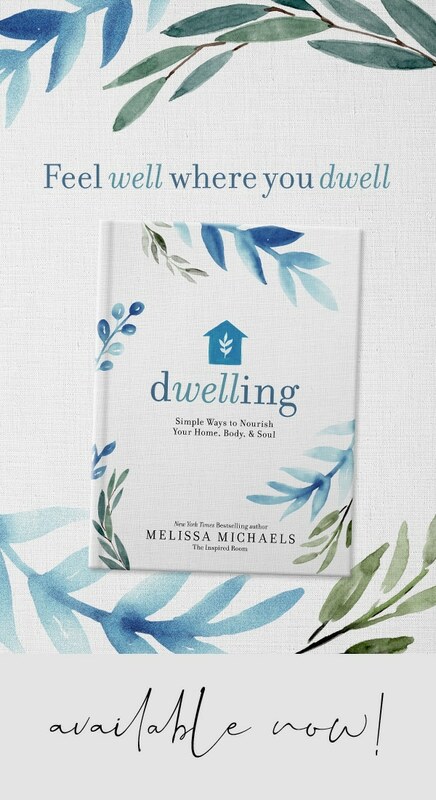 Melissa I have just been reading back over the last few posts that I’ve missed and, WOW! You’re right, these women (and yourself!) are truly inspirational women! Way out of my league, that’s for sure. Awesome! Thanks for the wake up call:-) Beautiful post Melissa…The Reds are gorgeous! Will be back soon to catch up! I have been a fan of French General since I saw the store featured in Mary Englebreit’s Home Companion several years ago. I own Kaari’s books and I am in awe of her creativity. I am a great lover of the color red! 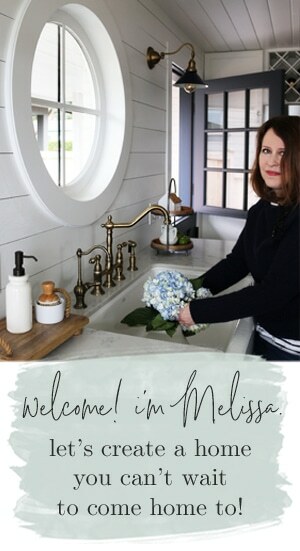 Thank you, Melissa, for inviting her to your Creative Inspiration Week. Kaari, keep inspiring us! It would be heaven to win the French General giveaway! It’s just so interesting to me how different colors affect people. Why do you like the colors you do? Why do you dislike certain colors. 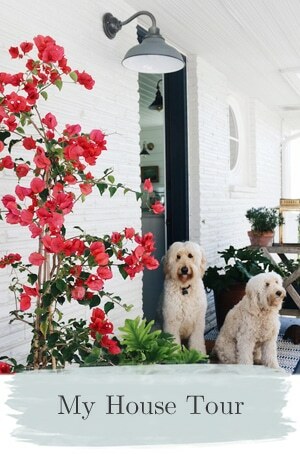 I’m always drawn to red, I try to like pink and I enjoy it in other peoples homes. I just can’t make it work for me in clothing or in my home. Thank you, Kaari, for sharing your color tips with us. Your books are amazing and I can’t wait until your next title comes out. The pictures with this blog article are amazing, especially the pinks. Thank you so much Melissa for coming up with this wonderful creativity share week! Kaari is an amazing woman. I enjoy everything she does and I love browsing through her shop. This idea of yours, Melissa, is wonderful….very inspiring! Oh my gosh, I just found your lovely and creative site! I have been a French General fan for a long time~beautiful. Thank you so much Kaari, for sharing your ideas with us. I love the red palette and like you, I can never seem to escape red(nor do I want to) in some form. I would be thrilled to win the book. Happiest of Holidays! I LOVE all this color!I am a huge fan of color.Kaari seems to be an amazing creative mind!I would love to be entered into this drawing.I am going to go check out her website! Kaari is truly inspiring woman! I love her previous book, and look it often. Color is such a wonderfully complex motivator of our likes and dislikes, and it’s a treat to have Kaari explain her approach. Thanks, Melissa, for your unique way of sharing the goodness. Kaari, you are an inspiration to all of us! I love your work!!! You have a true gift, thank you for shareing it!!! Melissa thank you for being an inspiration as well, and for bringing us Kaari! Those pink chenille balls – and all the pink things for that matter – are wonderful and exquisite! Please enter me, and thanks Kaari for sharing! Oh my goodness!! Tehre is soo much goin’ on I can hardly keep up!!! I am in wonderfulness overload!!! How fun!!!!! This is amazing and inspiring!!! Oh, I love pink luster ware. I have it on my e-bay saved searches and get an e-mail when ever a new piece is listed for sale. Unfortunately though, I have still to purchase my first piece. I LOVE THE FRENCH GENERAL STUFF! I WAS INTRODUCED TO IT BY KARA AT MCMASTER AND STORM. THANKS SO MUCH TO KAARI FOR SHARING AND GIVING AWAY A BOOK! I’D LOVE TO WIN! KARRI, MY FAVORITE IS THE REDS BUT I LOVE TO THROW THE PINKS IN WITH IT! I love the cherry red items! What beautiful pictures! My favorite colors seem to be the ones I’m looking at at any given moment! I love those colors. I’m especially drawn to reds. They just make me happy. I love these colours. Pink is a favorite!! thank you both! kaari has been an inspiration to me for a long while now…(i met her in Claremont at a book signing not too long ago and encouraged her to blog :)) I am so inspired by her in so many ways. what a truly lovely person indeed. thank you again for this most amazing dose of inspiration today! Thanks for taking the time to inspire us this week! I just had to tell you – I was in Ohio yesterday visiting family and got a chance to go to The Blissful!! I was SO excited! What an incredible little store!! Thank you so much for the recommendation! Loved it! oh, I love both Kaari & her husband Jon! I ordered paint samples from French General & received a personal reply from Kaari. 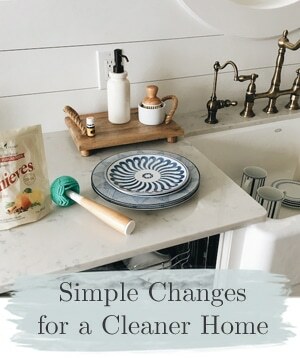 When I inquired on the mossy-green paint color in their bedroom photo (in her French Inspired Home book), I promptly received an e-mail from Jon. They seem genuinly interested in their customers, and when I told Jon that I have used several French General paint colors in my home, Jon asked me to send photos! 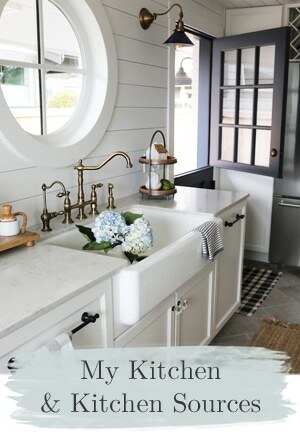 If I ever finish the bead board in the kitchen & get the trim installed in the living room, they will be the first to receive photos of my finished product. I would love to be entered. The reds are phenomenal!! LOVE the top photo with all the lovely bowls and shades of yummy pink yarn! thanks for sharing Kaari and Melissa! Thank you Kaari and Melissa for sharing such inspiring photos! Love it all! I need to learn how to make jewelry! Please enter me into the drawing for the beautiful book! Thanks for all of the wonderful inspiration! Melissa-This week of creativity is so great! I would love to be entered into Kaari’s giveaway. I love her books and her style. The colors in these photos are so gorgeous. Thank you! Lovely post! I liked Natural Nesting! Lovely! What wonderful inspiration! 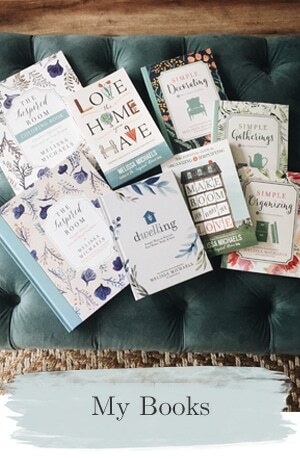 How we would just love to pour over the pages of her new book- we can already tell they would be full of yummy and fabulous things! I love French General! Having only recently discovered their very fun website, I would love to own that book! I really like the first image with the lusterware and the pinks. Thank you for the inspiration! Wow! Love the different shades, especially the reds. I love the colors & all the great ideas – so much fun to sit back & enjoy!!! I would be thrilled to own the latest book – please enter me in the giveaway!! Thanks for sharing!! I love your first book, Kaari and the French General site. So inspiring. Thank you for sharing your creativity here on the inspired room and with the world in general. I love the way you create vignettes with various colours and textures. What a great way to organize my creative supplies. Such beautiful pictures full of inspirations. Thanks for sharing your color intuition. Just wish I HAD all that stuff!! WOW! Thank you so much for sharing that! Those are beautiful pictures! I would love to win such a beautiful book! Thank you Kaari! I enjoyed seeing all of your color collections!! Great eye candy!!!! I loved the first book and her store in Hollywood is so unique…..a group of us went there last summer…I spent way tooo much…but I loved everything I bought. I want to go back again soon. Kaari is a such an inspiration and her husband was so gracious when we were there. I love how she mixes colors that are so unexpected. I love the reds too..I mean who can not love red? My DH…that’s who….maybe that is why he is in therapy. oh my goodness, i am full of appreciation. I love French General and her entire vision. and i love this blog and your entire vision! i’ve had the pleasure of visiting french general and meeting kaari,…both the shop and the owner are truly lovely. I *adore* the French General look! Such beautiful pictures here – such effortless grace and beauty!! Beautiful inspiration!! I adore color. So it’s always hard for me to have one favorite color. Or even decorating styles. I need to win Powerball then I can have a lot of houses in a lot of styles… no that wouldn’t work either cause of all the causes I would rather support. so maybe I will win this inspiring book! idea into a game to play with my granddaughters…. I’d like to be entered. Thank you Kaari for your words! I just found out about your store move to LA and coincidentally am in town this week. I hope to find the place and have time to stop by. When I watched your speach for Halmark It was like you were telling my life story, or I should say the life I wish I had. You are a great inspiration. Please keep creating and sharing.